It's been a little over a year since Yamaha presented its 249cc sportsbike, the R25, to the world. We'd always said that Yamaha would come out with a naked version of its smallish precision tool, and it has now - this is the MT-25. As you'd expect, there aren't too many changes here. Yes, the full fairing is gone, that shark-like nose with the 'Predator' headlights has been replaced with a rather simplistic single unit consisting of two LED pilot lamps placed above a single halogen lamp. The parallel-twin is now almost fully exposed, save for the lower half, which is protected by a small belly pan. Air inlets flank the 14-litre fuel tank, and there's a higher-set handlebar to provide a more relaxed riding position and make city riding easier. And, taking the fairing off has lightened the bike by a full... one kilogram. But that's it. The rest of the package is exactly the same as the faired bike. Power from the liquid-cooled twin-pot motor is rated at 35.5bhp, and torque stands at 22.6Nm. The six-speed 'box stays, as do the tyres, the analogue-digital dash, and the single disc brakes front (dual-piston, 298mm) and back (single-piston, 220mm). Now, this, much like the R25, is an offering for the Indonesian market. 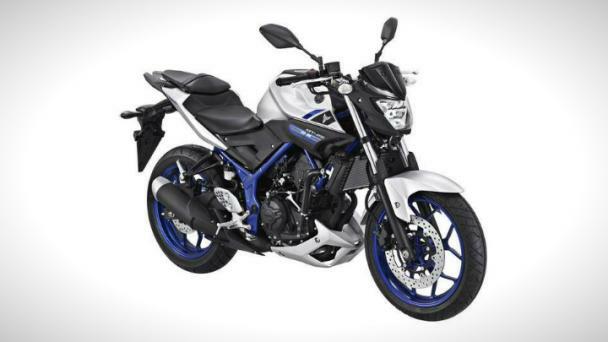 But India will get the R25's bigger sibling, the R3, and consequently, a bare-all version of that, which may be named the MT-03. Yamaha priced the R3 at Rs 3.25 lakh ex showroom Delhi, in which case the MT-03 should slot in at around Rs 2.80 lakh. There's still a lot of time to go, though. It seems that its non-faired twin will, after being showcased at the Delhi Auto Expo, only arrive towards the end of 2016. In the meantime, you can tell us what you think about the MT-25. Go on, dotcommers.